Daas Construction - Insulation, Plasterer based in Stoke-on-Trent, Staffordshire. 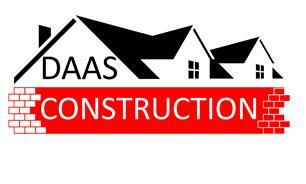 Daas Construction is a family run business located in Stoke on Trent. Company was founded in 2014 but we have much longer experience in providing building services. We pride ourselves on offering a hassle free and affordable service where the customer’s needs always take priority, as do excellent quality workmanship and operating to modern standards. We are confident that we can meet all your requirements on your next renovation or refurbishment project and also exceed your expectations when it comes to quality and affordable renovators in Stoke-On-Trent. We specialize in external/internal solid wall insulation, loft /roof insulation and also rendering (K-render and smooth finish) plastering and renovation.